A chat with Nimblewill Nomad | Florida Hikes! 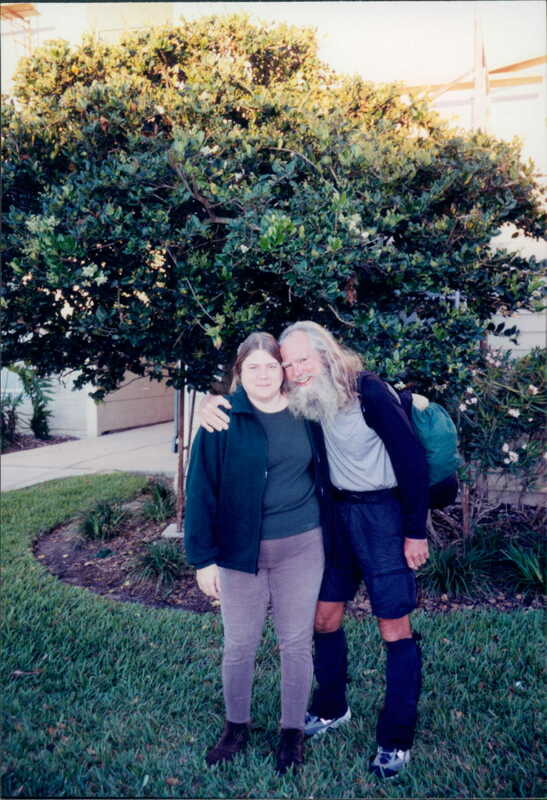 I had a pleasant chat Wednesday night with one of my hiking heroes, M.J. Eberhart, aka Nimblewill Nomad, calling from Paradise. That’s Paradise, Michigan, and Eb is within a couple of days of completing the North Country Trail through the Upper Peninsula of Michigan and swinging down into the rest of Michigan as he continues his quest to complete the NCT eastbound. It’s a long walk alone, but he’s the sort of hiker who’s up for the challenge. In fact, you’ll want to follow his adventure on his website. Since he’s in the middle of a thru-hike, I knew it might be tough to catch him with his phone on and signal available at any given time, so we took care of pre-recording his interview for the “Love to Hike” series I’m hosting starting June 1 to inspire people to get out and hike. And Eb is nothing but pure inspiration. Hope you’ll be able to join us for these seminars next week!